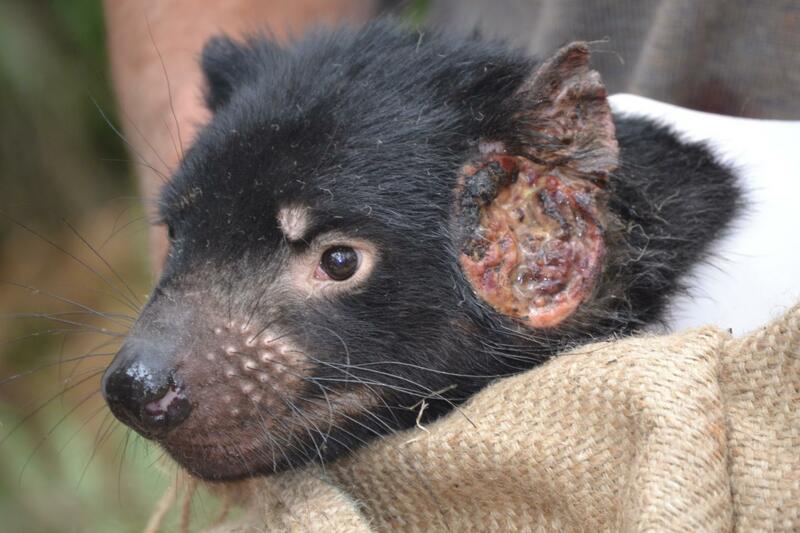 "The discovery of a second transmissible cancer in Tasmanian devils was a huge surprise," says Dr Elizabeth Murchison from the Department of Veterinary Medicine at the University of Cambridge. "Other than these two cancers, we know of only one other naturally occurring transmissible cancer in mammals — the canine transmissible venereal tumour in dogs, which first emerged several thousand years ago." The research was funded by Wellcome, the National Science Foundation, Save the Tasmanian Devil Appeal, Leverhulme Trust, Cancer Research UK and Gates Cambridge Trust. One of Maximilian Stammnitz's best memories at Cambridge has been his encounter with Tasmanian devils on a field trip to Tasmania in 2016. "There is nothing more exciting than examining actual devils in the wild – they are truly majestic animals!" he says. Stammnitz is a Gates Cambridge Scholar at Cambridge's Department of Veterinary Medicine. Originally from "Germany's sunniest spot: Heidelberg", he came to Cambridge to join the Computational Biology MPhil program at the Department of Applied Mathematics and Theoretical Physics in 2014. "This course provides fascinating opportunities to study biology through a big data lens, and to learn about vastly emerging genomics technologies from experts in the field," he says. "The DNA-level expertise and collaboration at Cambridge surrounding topics of genetics, evolution, medicine and computational data analysis is breath-taking." It was a seminar by Elizabeth Murchison on transmissible cancers that caught his imagination, however, and he subsequently joined her group at Veterinary Medicine for a summer internship, and then as a PhD student and Gates Cambridge Scholar. The ultimate aim of his work is to save the largest carnivorous marsupial on the planet, but by studying the fundamental processes of cancer development in Tasmanian devils, his work could help us understand better how cancer develops in humans. "I spend most of my working days behind a computer screen, processing and analysing large volumes of DNA and RNA sequencing data from Tasmanian devil tumour biopsies," he says. "Occasionally, I also do molecular biology experiments in the 'wet lab', to validate our computational results or to establish testing protocols for the devils." It isn't all about work, though. "Over the past year, I have been the captain of our university's Blues men's volleyball team and co-founded PuntSeq, a citizen science project aiming at cost-effective pathogen surveillance of our house river Cam's water," he says. "My biggest challenge of living here is to balance truly focused work life and quiet time with the many inspiring distractions that wait behind the corners of Cambridge's old walls. It's a luxury problem to have as a PhD student."